Yakface forum staffer localgotal is back again with yet another round of Concept Series figures he’s created. This latest update sticks with his recent ROTJ theme, but shifts toward the Rebel Alliance. Check it out after the jump! Note: I didnt’ realize that this particular Ishi Tib was a rebel, but apparently he is! Yakface forum staffer localgotal is back again with yet another round of Concept Series figures he’s created. 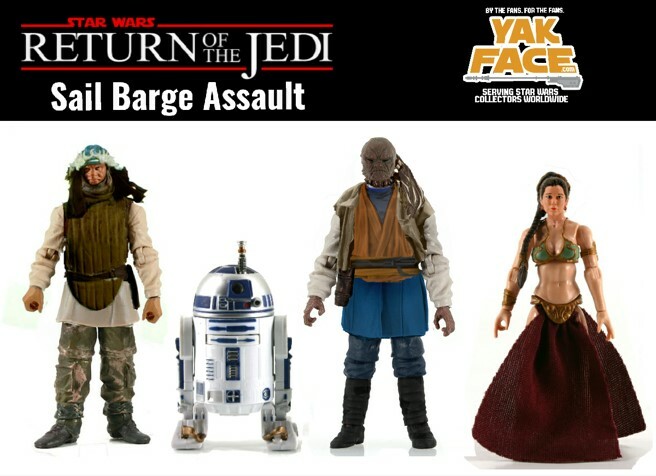 This latest update continues his recent theme of great figures that Hasbro should make or release again in honor of what we hope is a successful Sail Barge campaign! Yakface forum moderator localgotal is back again with another round of Concept Series figures he’s created. This latest update harkens back to the slimy entourgage of the illustrious Jabba the Hutt. Check them out, enjoy the pics, and join in the discussion in our forums! Hey, these would be awesome figures to populate a Sail Barge, right? Today we get a fun treat from Yakface contributor and forum moderator localgotal – the return of the Yakface Concept Series (with some great eye candy for some new “what if” figures). With Hasbro seeking fan input, now is the time to get back in the swing of idea sharing, concept art, etc. for the highly anticipated return of The Vintage Collection! Share your ideas here, in our Concept Series Section, and across the collecting community.